Lutein and zeaxanthin: Do they really help vision? In addition to being found in many green leafy plants and colorful fruits and vegetables, lutein and zeaxanthin are found in high concentrations in the macula of the human eye, giving the macula its yellowish color. In fact, the macula also is called the "macula lutea" (from the Latin macula, meaning "spot," and lutea, meaning "yellow"). Lutein and zeaxanthin appear to have important antioxidant functions in the body. Along with other natural antioxidants, including vitamin C, beta-carotene and vitamin E, these important pigments guard the body from damaging effects of free radicals, which are unstable molecules that can destroy cells and play a role in many diseases. It is believed that lutein, zeaxanthin and meso-zeaxanthin in the macula block blue light from reaching the underlying structures in the retina, thereby reducing the risk of light-induced oxidative damage that could lead to macular degeneration (AMD). Research published in Nutrition & Metabolism found that a nutritional supplement containing meso-zeaxanthin, lutein and zeaxanthin effectively increased the optical density of the macular pigment in eyes of the majority of human subjects. The macular pigment is believed to offer protection against the development of macular degeneration. Studies published in American Journal of Epidemiology, Ophthalmology and Archives of Ophthalmology found higher levels of lutein and zeaxanthin in the diet are associated with a lower incidence of AMD. Two studies published in Investigative Ophthalmology and Visual Science found that eyes with greater levels of macular pigments were less likely to have or develop macular degeneration. In research published in Archives of Biochemistry and Biophysics, the study authors conclude that lutein, zeaxanthin and meso-zeaxanthin filter short-wavelength light and prevent or reduce the generation of free radicals in the retinal pigment epithelium and choroid. They also suggest that a mixture of these carotenoids is more effective than any one of the individual carotenoids at the same total concentration. In a study published in the journal Optometry, participants with early AMD who consumed 8 mg per day of dietary zeaxanthin for one year improved their night driving and their visual acuity improved an average of 1.5 lines on an eye chart. 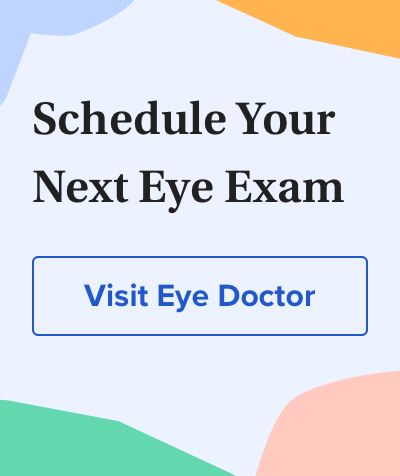 In May 2013, the much-anticipated results of the second large-scale Age-Related Eye Disease Study (AREDS2) sponsored by the National Eye Institute were published. AREDS2 was a follow-up to the original 5-year AREDS study published in 2001, which found use of a daily antioxidant supplement containing beta-carotene, vitamin C, vitamin E, zinc and copper reduced the risk of progressive AMD by 25 percent among participants with early and intermediate macular degeneration. The goal of AREDS2 was to evaluate the effect of other nutrients — including lutein and zeaxanthin — on the prevention of AMD and other age-related eye diseases. AREDS2 also investigated the effect of removing beta-carotene from the AREDS supplement, since supplementation of this vitamin A precursor has been associated with increased risk of certain cancers among smokers and previous smokers. The AREDS2 results revealed study participants with early signs of macular degeneration who took a modification of the original AREDS nutritional supplement that contained 10 mg lutein and 2 mg zeaxanthin (and no beta-carotene) every day for the 5-year study period had a 10 to 25 percent reduced risk of AMD progression. Study participants whose diets contained the lowest amounts of foods containing natural lutein and zeaxanthin experienced the greatest AMD risk reduction from taking the daily nutritional supplement. While AREDS2 and other studies provide evidence that lutein and zeaxanthin may play a role in preventing macular degeneration (or at least reducing the risk of progression of AMD), it's less clear if these carotenoids help prevent cataracts. Research published in Archives of Ophthalmology suggests women whose diets include high amounts of healthful foods containing lutein, zeaxanthin and other carotenoids have a lower risk of cataracts than women whose diets contain lower amounts of these nutrients. In AREDS2, however, supplemental lutein and zeaxanthin had no effect on cataract risk or progression. Eyefoods: A Food Plan for Healthy Eyes is a new book designed to help you improve the health of your eyes. Written by eye doctors Laurie Capogna, OD, and Barbara Pelletier, OD, the book describes nutrients such as lutein, zinc and vitamin C and tells you which foods they are found in and how much you need each day to help maintain healthy eyes. The book also presents research that links good nutrition to reduced risk of eye disease, as well as quick recipes for incorporating eye-healthy vitamins and minerals in your daily diet. The text is easy to understand, and the big, colorful food photos will inspire you to eat better. Eyefoods is available at eyefoods.com . The best natural food sources of lutein and zeaxanthin are green leafy vegetables and other green or yellow vegetables. Among these, cooked kale and cooked spinach top the list, according to the U.S. Department of Agriculture (USDA). Non-vegetarian sources of lutein and zeaxanthin include egg yolks. But if you have high cholesterol, you're much better off getting most of these yellow nutrients from fruits and vegetables. Because of the apparent eye and cardiovascular benefits of lutein and zeaxanthin, many nutritional companies have added these carotenoids to their multiple vitamin formulas. Others have introduced special eye vitamins that are predominantly lutein and zeaxanthin supplements. There currently is no Recommended Dietary Allowance (RDA) or Recommended Daily Intake (RDI) for lutein or zeaxanthin, but some experts say you should ingest at least 6 milligrams (mg) of lutein per day for beneficial effects. It remains unclear how much lutein and zeaxanthin is needed daily for adequate eye and vision protection. Also, it is unknown at this time whether supplements have the same effect as lutein and zeaxanthin obtained through food sources. The source of lutein in many lutein supplements is marigold flowers, while for zeaxanthin it is often red peppers. If you choose a lutein and zeaxanthin supplement, make sure it's a high quality product from a reputable dietary supplement company. If you have low macular pigment levels and are sensitive to light, ask your eye care professional about photochromic lenses. These eyeglass lenses protect your eyes from UV and high-energy visible blue light that can damage retinal tissue, and they darken automatically in sunlight to ease light sensitivity. Also, remember that individuals sometimes react differently to certain supplements, which can have unintended effects such as adverse reactions with medications. Consult with your physician or eye doctor before trying any vision supplements. For the latest Eye Nutrition news, click here. Nutritional supplements containing lutein and zeaxanthin, lipoic acid, and omega-3 fatty acids are effective in preventing the development of retinopathy among diabetic rats, according to a study. Researchers at the Kresge Eye Institute in Detroit investigated the effect of carotenoid-containing supplements on retinal oxidative stress and inflammation and the development of diabetic retinopathy. Diabetes was induced and confirmed in all rats in the study, and then some rats were given a diet that included the nutritional supplements while others were given the same food but without the supplements. After 11 months, the retinas of the rats were evaluated for changes in blood vessels, cellular damage and other retinal changes characteristic of diabetic retinopathy. In rats that had not received the nutritional supplements, diabetes-induced damage to retinal blood vessels was three to four times greater than among rats who had received the added nutrients. The study authors concluded that the nutritional supplements used in this study prevented diabetic retinopathy and preserved normal retinal functioning. They also said that, though human testing is required to confirm, these supplements "could represent an achievable and inexpensive adjunct therapy" to inhibit diabetic retinopathy in people with diabetes. A full report of the study was published online in January 2014 by Nutrition & Metabolism. Shereen Jegtvig, Certified Nutrition Specialist (CNS), also contributed to this article. Lutein + zeaxanthin and omega-3 fatty acids for age-related macular degeneration: The Age-Related Eye Disease Study 2 (AREDS2) randomized clinical trial. JAMA. Published online May 2013. NIH study provides clarity on supplements for protection against blinding eye disease. National Eye Institute (NEI) press release issued May 2013. Anti-inflammatory effects of lutein in retinal ischemic/hypoxic injury: in vivo and in vitro studies. Investigative Ophthalmology & Visual Science. Published online August 2012. Studies on the singlet oxygen scavenging mechanism of human macular pigment. Archives of Biochemistry and Biophysics. August 2010. Healthy diets and the subsequent prevalence of nuclear cataract in women. Archives of Ophthalmology. June 2010. Dietary antioxidants and the long-term incidence of age-related macular degeneration: the Blue Mountains Eye Study. Ophthalmology. February 2008. Macular pigment response to a supplement containing meso-zeaxanthin, lutein and zeaxanthin. Nutrition & Metabolism. May 2007. Associations between intermediate age-related macular degeneration and lutein and zeaxanthin in the Carotenoids in Age-Related Eye Disease Study (CAREDS). Archives of Ophthalmology. August 2006. Oxygenated carotenoid lutein and progression of early atherosclerosis: the Los Angeles atherosclerosis study. Circulation. June 2001. Lutein and zeaxanthin in the diet and serum and their relation to age-related maculopathy in the Third National Health and Nutrition Examination Survey. American Journal of Epidemiology. March 2001. Macular pigment and risk for age-related macular degeneration in subjects from a Northern European population. Investigative Ophthalmology and Visual Science. February 2001. Macular pigment in donor eyes with and without AMD: a case-control study. Investigative Ophthalmology and Visual Science. January 2001.